If you’ve ever tried to open a text file in Windows that was not a Word Doc, you’ve no doubt been smacked in the face by the abomination known as Notepad. Notepad is Windows’ built-in text editor. At this point, I think the program has not been changed since… forever. And it shows. Notepad is slow, it has almost no features, and generally people just pray until they’re done doing what they need to do just so they can close down that flaming pile of garbage. As it happens, there’s a great all-purpose text editor you can download for free, and it’s WAAAAY better than Notepad. I am of course talking about Notepad++. I still have and use Notepad++ regularly!! Sure, you could try WordPad, which is built in to Windows just like Notepad. But WordPad is essentially a dumbed-down version of Word. If that works for you, great! But many of us need a text editor without all the formatty fluff – a program designed to edit actual old-fashioned text files: maybe some config files, some static HTML pages, and maybe even some minor programming stuff. In that case, neither Notepad nor WordPad give us what we need. 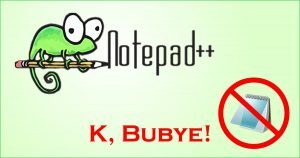 You can download Notepad++ here – for free! Note that you get tabs for each open file and a Plugin system that lets you enhance the functionality of Notepad++. Now, if some of that makes no sense to you, don’t worry. Notepad++ works like Notepad, but with a whole lot of goodies piled on top. If you want to use the advanced features, go nuts. If you don’t, no worries. You can also use Notepad++ as a programmer’s text editor, but I still prefer Sublime Text is my primary editor for that kind of thing. Then again, Notepad++ is perfect for editing HTML and CSS files, and it comes with syntax highlighting and fancy editing features aplenty. 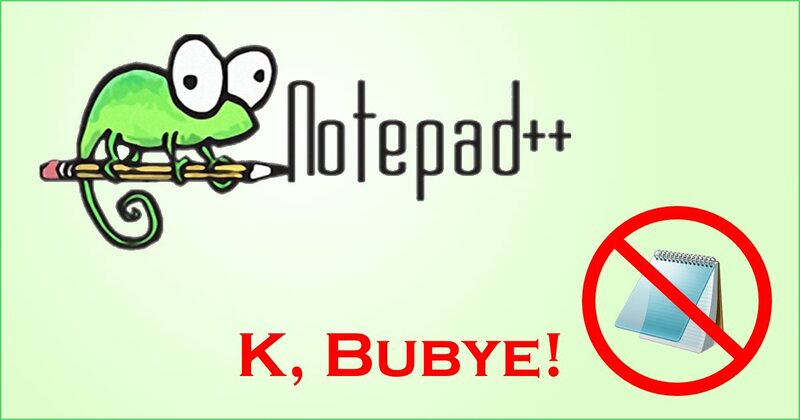 Again, if you just want something better than Notepad, then Notepad++ is also perfect for you. Best of all, it costs you nothing. Note that when you install it, it will ask you if it should take over opening files that Notepad would traditionally handle. Say yes, and you’re off and running. Do check out Notepad++ because it’s a huge improvement over Windows’ editors. At the very least, you’ll be glad that never have to see Microsoft’s Notepad ever again! I often use Notepad as a convenient interim step in copy|paste operations to strip out all forms of document or text formatting. An example would be to grab a paragraph from a web page for use in another document (that does not easily paste without format) or to get the actual pure text of an email address. Will Notepad++ do the same?